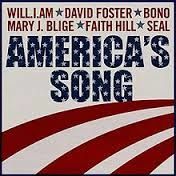 This is an arrangement of "America's Song" by David Foster, Will.i.am and others that was used during Barack Obama's Inauguration. This is arranged for choir SATB, solos and piano. The chart is just like the live version in the original key of G. An orchestration will soon be available. Email us at harkup@gmail.com to be notified when the orchestration becomes available.